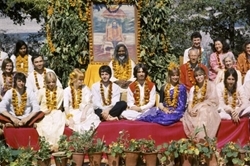 Documentary The Beatles in India set for release in the Autumn . Beatles Radio: The Beatles, Solos, Covers, Birthdays, News The Fab 4 and More! The new feature film documentary The Beatles in India, diretced by two time Emmy award winning producer-director Paul Saltzman, is set to be released worldwide in Autumn 2018.